You are here: Home / Blog / Want to run a World Climate simulation? Don’t have time to do it yourself? Want to run a World Climate simulation? Don’t have time to do it yourself? You can request a World Climate Expert Facilitator to lead your group in a simulation of the UN climate change negotiations. We have over 30 Expert Facilitators who can come to you to facilitate your World Climate event. These Facilitators have experience leading the World Climate simulation and often have professional experience leading other group activities as well. If you want to be in touch with an Expert Facilitator and explore possibilities for your audience, please contact us at info@climateinteractive.org. We will introduce you to one or more Facilitators in your area or with experience with your sector. Then you take it from there. All arrangements are between you and the Facilitator. Here is an example of one of our World Climate Expert Facilitators. Please reach out to us to learn more and let us match you with one that will best suit your needs. 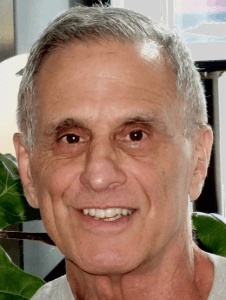 Steve Kaagan is a Professor Emeritus at Michigan State University. He has been honored with several honorary doctorates for his work on experiential approaches to leadership development. Steve has facilitated sessions with Climate Interactive tools for diverse audiences, including university faculty, community and business leaders, teachers, and students. The Institute for the Environment at UNC Chapel Hill, Williams College Alumni Seminars, and Burlington, VT leaders represent recent engagements. He insists that World Energy and World Climate are two very powerful tools to help people wrestle with the challenges of climate change.